Michael J. Klag, an internationally known expert on the epidemiology and prevention of cardiovascular and kidney disease and a Johns Hopkins faculty member since 1987, became Dean of the University’s Bloomberg School of Public Health in 2005. Dr. Klag previously served as the David M. Levine Professor of Medicine in the University’s School of Medicine, with joint appointments in the Bloomberg School’s Department of Epidemiology and Department of Health Policy and Management. He also was Vice Dean for Clinical Investigation in the School of Medicine. He was a founding member and interim director of the University’s Welch Center for Prevention, Epidemiology and Clinical Research; director of the Division of General Internal Medicine in the School of Medicine; and, in 2000-2001, interim physician-in-chief of the Johns Hopkins Hospital and interim director of the Department of Medicine in the School of Medicine. He has published more than 120 peer-reviewed articles and is a fellow of the American College of Physicians. 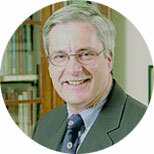 In 1998, he was editor-in-chief of the Johns Hopkins Family Health Book. Dr. Klag’s research has centered on the prevention, epidemiology, and treatment of hypertension and kidney disease. Beginning in 1988, he directed the Johns Hopkins Precursors Study, a prospective study of Johns Hopkins medical students that began in 1946 and continues to follow participants. Dr. Klag has also led pioneering studies in kidney disease epidemiology, including the first study to assess the incidence of end-stage renal disease and to identify blood pressure as a risk factor for the development of kidney failure. His work has laid the foundation for numerous subsequent studies.